Fehrenbach Farms - goats, Goats, Goats! 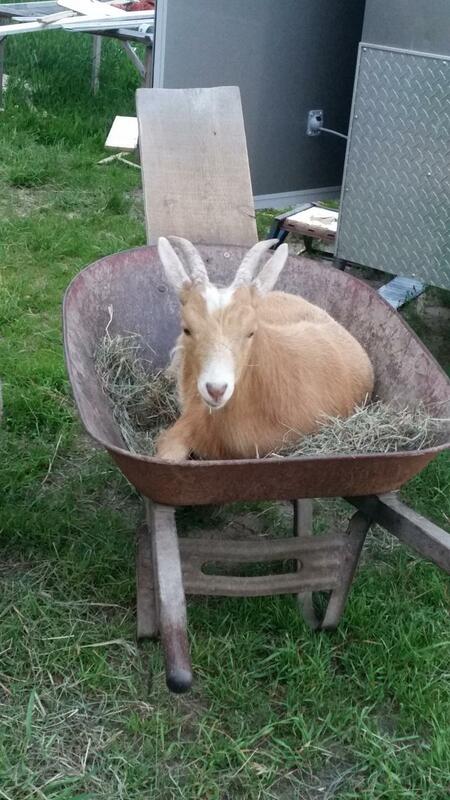 Due to the changing interests of our children, Fehrenbach Farms began raising goats in 2014. 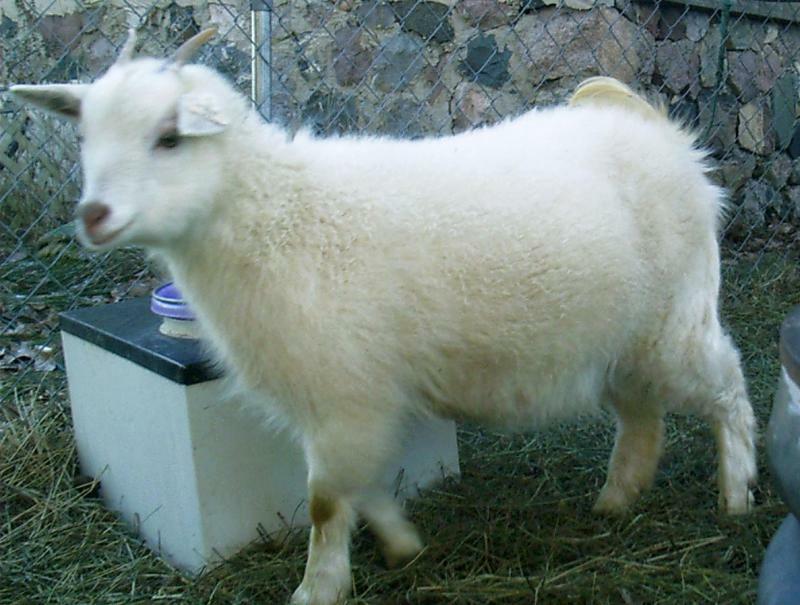 We do sell quality animals for 4-H children at reasonable prices. We focus mostly on pygmies, but we do have other breeds as well. This little cutie is one of Elizabeth's kids. 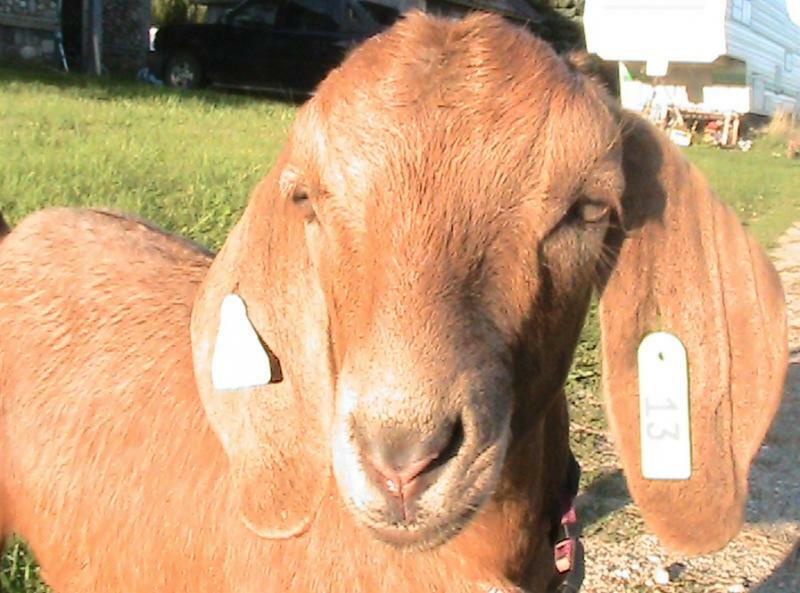 Her sire is Caleb, our pygmy buck. She is all amazing fiber!!! Dressed for success! 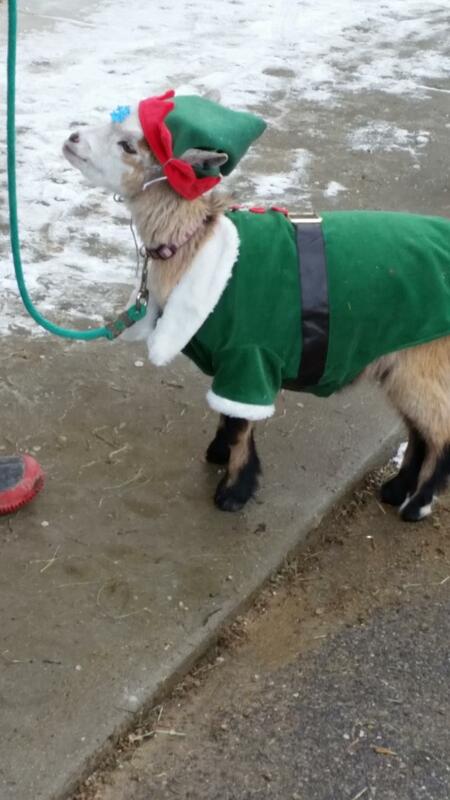 Tia doen't understand about goats! She is more like a dog or cat. Here sihe is helping with bell ringing for the Salvation Army. Tia had an issue with nursing, so at 1 1/2 pounds, she came into the house. She hasn't left. Thank goodness she is a pygmy! !